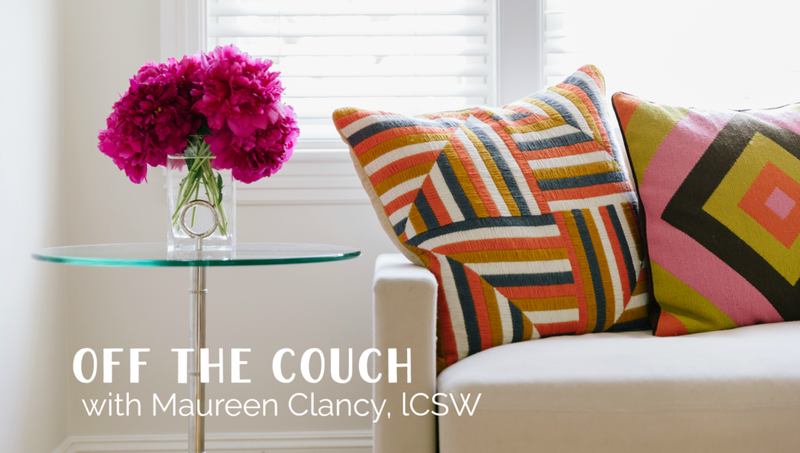 Off the Couch is a helpful video series by Maureen Clancy, LCSW. Get expert tips for getting through life’s tough spots and answers to the questions she’s been asked by clients in the past 20 years. Welcome to Off the Couch — a video series for expert tips on coping with life, connection, and answers to questions I am asked frequently. Have a question you want answered? Drop me a line at mclancylcsw@gmail.com.